It is very hard to draw a sequence of straight line sections when tracing over complicated shapes. 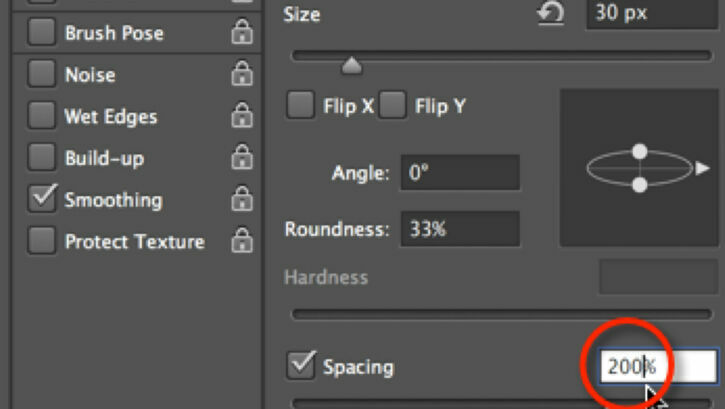 Holding down and releasing Shift repetitively while drawing (the easiest way to draw straight lines) would unnecessarily overcomplicate the process. 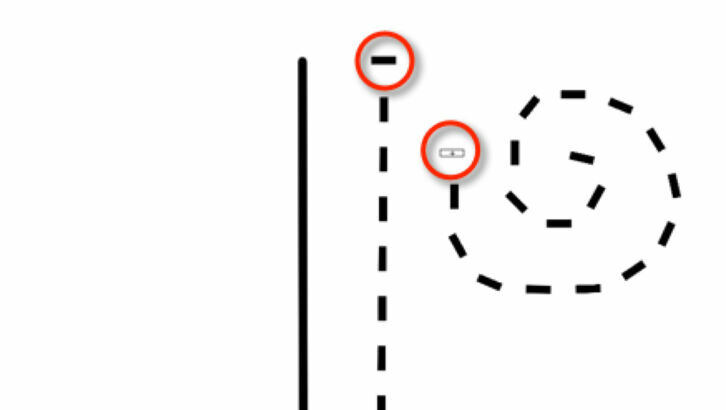 The line segments become misaligned because of the difficulty caused by repeatedly releasing the pen from the screen. It is hard to preserve the uniform length of line segments as well as keep an even distance when drawing freehand. A much better solution can be accomplished by drawing a continuous line along the shape that has to be shown as a dashed line. Once the line is drawn, the necessary gaps can be produced by simply erasing those sections. 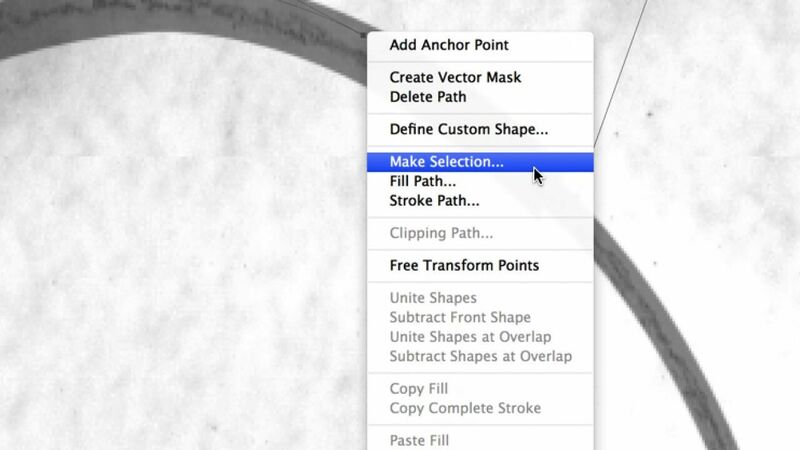 There is, however, an even more elegant way of generating dashed lines in Photoshop. The artist can set up a Square Brush and tweak its behavior by changing some of its attributes to be able to produce dashed lines as a custom brush stroke. 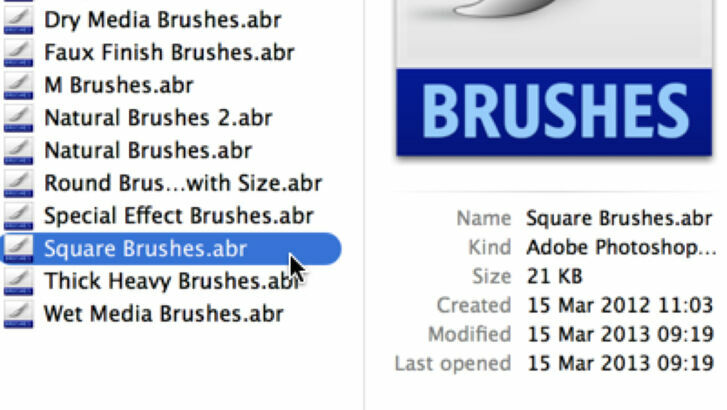 (1)Square Brush Strokes are not part of the standard Photoshop Brush Set; therefore, they need to be added first. 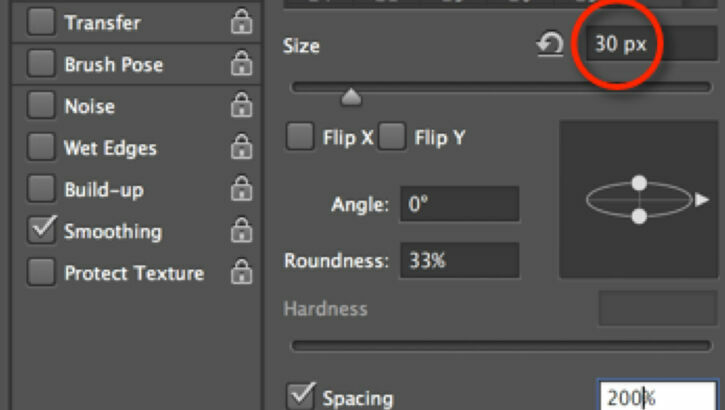 (2)In Brush Settings click on Load Brushes. 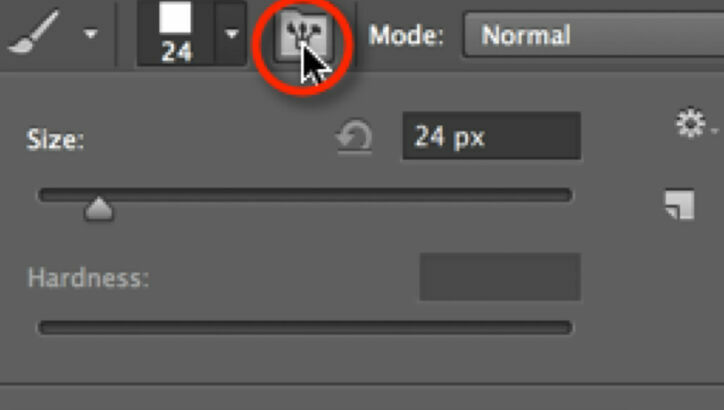 (3)Find the Square Brushes among the preset Photoshop Brush Sets (Applications/Adobe Photoshop CS6/Presets/Brushes on the Mac). 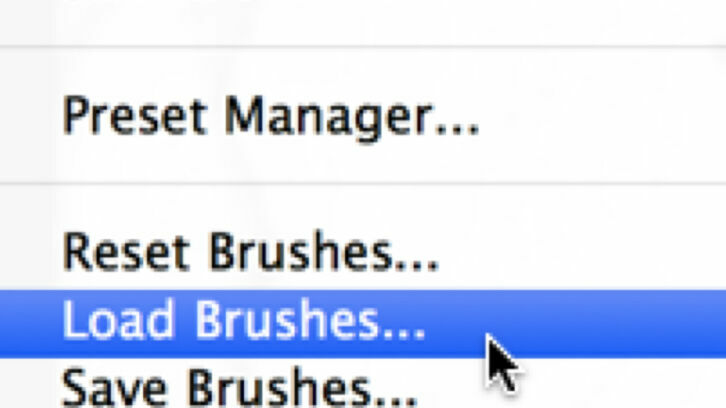 (4)Pick a random Square Brush and hit Toggle Brush Panel to call up the Brush Editing Window. (5)Changing the Roundness of our brush by 33% (reducing it by 1/3) adds the necessary flatness to the dashed segments. (6)Reducing Roundness reduces the brush thickness as well, so you have to multiply Size by 3 to get back the original line weight. (7)Spacing determines how much space you’ll have in between the dashed segments. The higher the number the more space you’ll have. 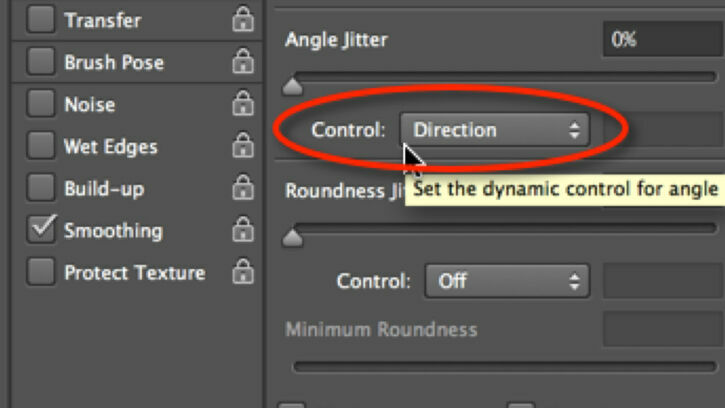 (8)Check Shape Dynamics on the right and make sure the Angle Jitter is controlled by Direction. Everything else should be off. 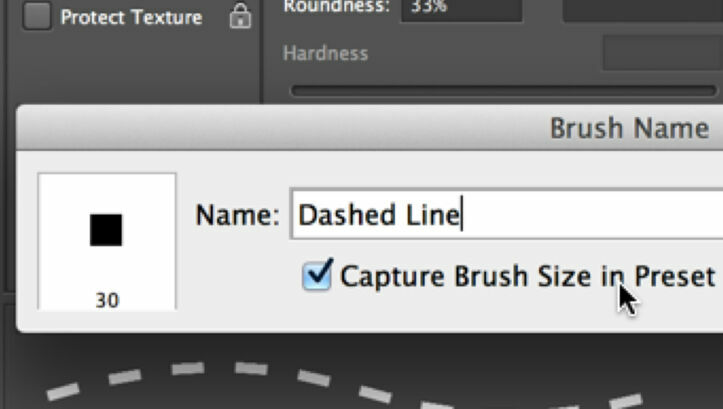 (9)Save your newly configured dashed line as a Brush Stroke, check Capture Brush Size in Preset, so it can be part of your Brush Set. (10)Note that when you are drawing, hitting the screen once results in only a single horizontal segment, no matter what the direction is. You can download the short tutorial to learn this skill. 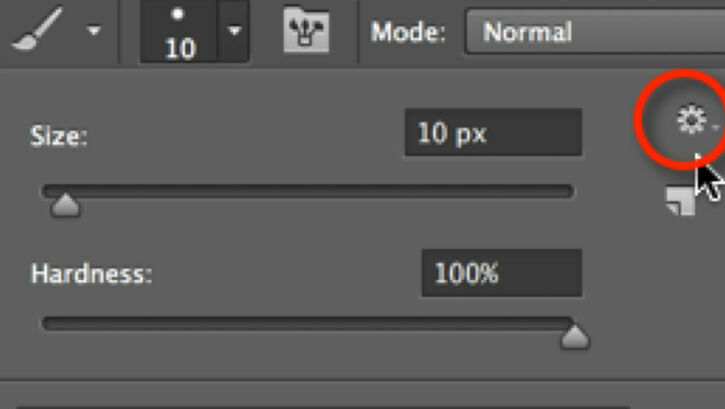 There are two slightly different methods that can be introduced here: the artist can either delete from or add to the initial curves. They are both very effective and, once mastered, they can be useful complements to hand-drawn brush strokes. 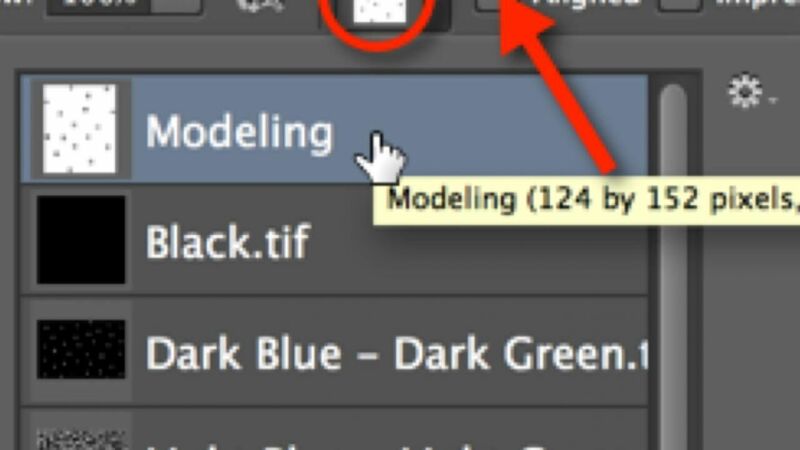 Modeling is indicated by a stippled area in which the variety in dot density adds a certain dimension to the texture. As with dotted paint lines and dashed architectural lines, the artist is free to add all the dots individually, and this is probably the easiest way to do so, especially when the area to be modeled is fairly small.